What’s up next? Check out our calendar and join us in our next event. With our booking platform, book now your tickets with no hazle. For two days Dog Days makes visible the demand, for the full integration in the society of the animals that coexist with us, sharing spaces, sensations and time. On October 7 and 8, 2017, the MEAM Museum opens its doors, with the usual entrance fee, to the dogs, accompanied by their owners. A simple act of global repercussion, for a better present for all. 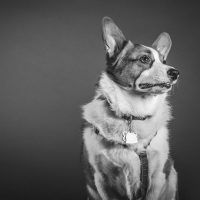 The pet population is equivalent to more than 1 animal for every ten neighbors of the city. Invite them to share your life from integration and respect! The MEAM Museum, as a representative and iconic museum of modern and figurative art at the international level, will arrange and exhibit the collections programmed in its own agenda, offering visitors the opportunity to discover the main museum of figurative art in Europe, in a unique day, accompanied by Your pets. The benefits generated by MEAM Dog Days are destined to the sponsorship of abandoned animals, through the various associations dedicated to this purpose. Saturday October 7: 10:00 a.m. to 5:00 p.m.
Sunday October 8: 11:00 a.m. to 8:00 p.m.
You must register here. The ticket will be paid at the venue. Enjoy your passion, experiencing the coast of Formentera in a unique loop, which in four stages offers the incomparable experience of discovering and enjoying the entire coast of the last paradise of the western Mediterranean. The 4 stages of the loop will consist of either riding or in the case of bad conditions, walking or running to reach the destination. GPS instruments and mobile phones are strongly recommended to use and bring along. The challenge is within you and is not dependent on wind conditions. It’s a unique challenge that involves getting from point A to point B. In addition to living an unforgettable experience, each participant, in any of the modalities, will be sponsoring 25 square meters (1 Euro/ sqm) of posidonia and will become part of the sponsors of posidonia club, collaborating in the preservation of this precious ecosystem. Formentera Blue Experience Kite Loop- surround Formentera in 4 stages: Experience the beauty of posidonia and surround Formentera by kite discovering different beaches and kitespots. A challenge possible for everyone as we split the surrounding of the 23 km long island into 4 stages. In case of unfavorable conditions, the athletes are required to pack their gears strategically making the walk or run possible WITH all gear in hand. The Kite Challenge is within you. We do it for the Posidonia. We do it for the Oceans. A mínimum of 10 persons is required. All participants must be of legal age (+18), in the case of having a minor (+16), must be accompanied by an adult accompanying him at each stage and sign a document that will be with him at all times, as well as demonstrate that he has experience in Long Distance Tours in Kite. Respect for the heritage and private property of the island. Formentera is known for its beaches with clear and transparent waters and fine white sand that give rise to its turquoise and blue hues. The quality of its waters is due to the presence of the POSIDONIA OCEANICA, a marine plant that offers large amounts of oxygen and organic matter and contributes to the biodiversity of plant and animal species. The Posidonia meadows form the most important marine ecosystems of the Mediterranean, harboring the maximum diversity of species. In addition, they play a fundamental role in the conservation of coastal ecosystems as the Posidonia grasslands slow the erosion of beaches, are the main source of sandy sediment in the Balearic Islands and contribute to maintain the transparency of coastal waters.The Posidonia meadows form the most important marine ecosystems of the Mediterranean, harboring the maximum diversity of species. In addition, they play a fundamental role in the conservation of coastal ecosystems as the Posidonia grasslands slow the erosion of beaches, are the main source of sandy sediment in the Balearic Islands and contribute to maintain the transparency of coastal waters. All participants must be of legal age (+18), in the case of having a minor (+16), must be accompanied by an adult accompanying him at each stage and sign a document that will be with him at all times, as well as demonstrate that he has experience in Long Distance Tours in SUP. The 4 stages of the loop will consist of either riding or in the case of bad conditions, walking or running to reach the destination. GPS instruments and mobile phones are strongly recommended to use and bring along. The challenge is within you and is not dependent on wind conditions. It’s a unique challenge that involves getting from point A to point B. In addition to living an unforgettable experience, each participant, in any of the modalities, will be sponsoring 25 square meters (1 Euro/ sqm) of posidonia and will become part of the sponsors of posidonia club, collaborating in the preservation of this precious ecosystem. Formentera Blue Experience Windsurf Loop- surround Formentera in 4 stages: Experience the beauty of posidonia and surround Formentera by windsurf discovering different amazing beaches. A challenge possible for everyone as we split the surrounding of the 23 km long island into 4 stages. The Windsurf Challenge is within you. We do it for the Posidonia. We do it for the Oceans. All participants must be of legal age (+18), in the case of having a minor (+16), must be accompanied by an adult accompanying him at each stage and sign a document that will be with him at all times, as well as demonstrate that he has experience in Long Distance Tours in Windsurf. SUP Yoga reaches our beaches on the island of Formentera and can be practiced floating in calm waters of the sea. In addition to the well-known benefits of Yoga, we increase the strength, flexibility, coordination, and endurance necessary to maintain balance on the surfboard, providing a great sense of tranquility and harmony, surrounded by an exceptional environment; The sea and nature. The Posidonia meadows form the most important marine ecosystems of the Mediterranean, harboring the maximum diversity of species. In addition, they play a fundamental role in the conservation of coastal ecosystems as the Posidonia grasslands slow the erosion of beaches, are the main source of sandy sediment in the Balearic Islands and contribute to maintaining the transparency of coastal waters.The Posidonia meadows form the most important marine ecosystems of the Mediterranean, harboring the maximum diversity of species. 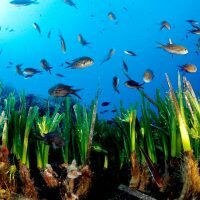 In addition, they play a fundamental role in the conservation of coastal ecosystems as the Posidonia grasslands slow the erosion of beaches, are the main source of sandy sediment in the Balearic Islands and contribute to maintaining the transparency of coastal waters.